South Asia is home to many of the world's most vibrant religious faiths. It is also one of the most dynamic and historically rich regions on earth, where changing political and social structures have caused religions to interact and hybridise in unique ways. This textbook introduces the contemporary religions of South Asia, from the indigenous religions such as the Hindu, Jain, Buddhist and Sikh traditions, to incoming influences such as Christianity, Judaism and Islam. In ten chapters, it surveys the nine leading belief systems of South Asia and explains their history, practices, values and worldviews. A final chapter helps students relate what they have learnt to religious theory, paving the way for future study. Written by leading experts, Religions of South Asia combines solid scholarship with clear and lively writing to provide students with an accessible and comprehensive introduction. 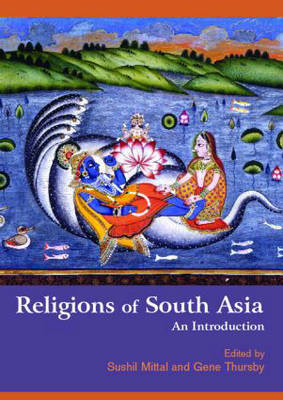 All chapters are specially designed to aid cross-religious comparison, following a standard format covering set topics and issues; the book reveals to students the core principles of each faith, compares it to neighbouring traditions, and its particular place in South Asian history and society. It is a perfect resource for all students of South Asia's diverse and fascinating faiths.